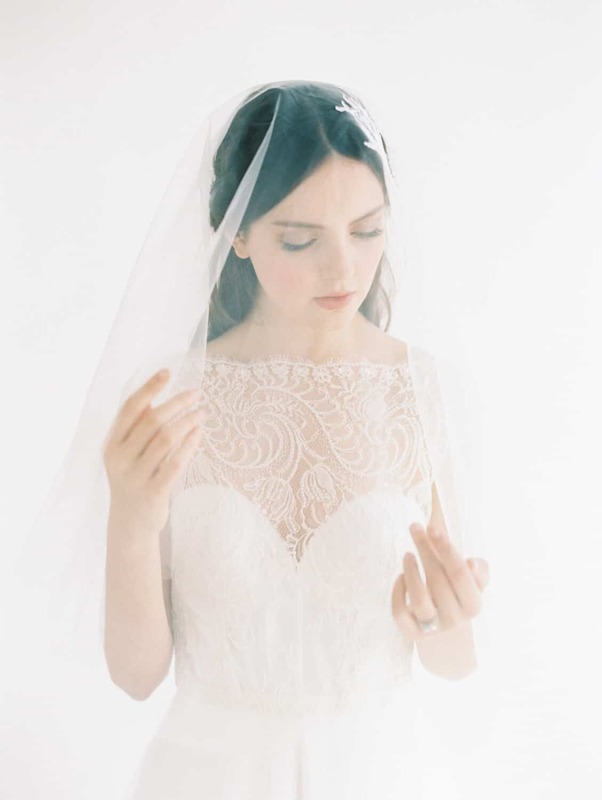 Finish your look with barely-there wisps of formal grace when you choose this Italian silk tulle circle veil as the final touch to your wedding ensemble. Embellished with bold lace flowers to create a low-profile alternative to the fascinator, this wedding veil is the ideal choice whether you’ll be walking down the aisle at a medieval theme wedding or playing with the conventions of tradition at a trendy tea. This tulle bridal veil has been carefully shaped to sit effortlessly atop your head, providing a delicate transparent blusher. Its sheer edges and its touch of classic lace make a unique and ethereal statement with simple, well-tailored gowns but won’t distract from more complex bridal adornments. 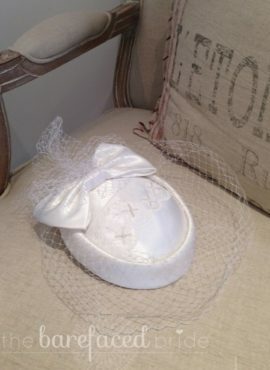 La Belle veils are available for purchase through The Barefaced Bride on an order basis if not available in-store. 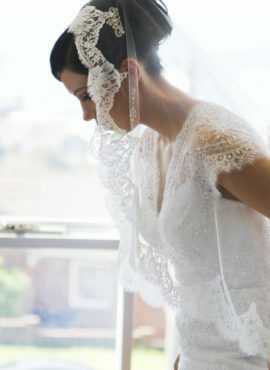 Veils are handmade in Australia and ready to ship within 6-8 weeks from date of purchase, unless otherwise stated.